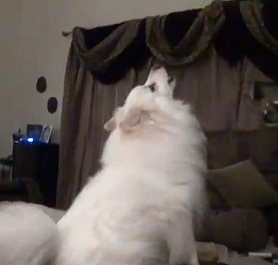 Happy Saturday, and welcome to another installment of the Saturday Pet Blogger Hop! You’ve found the right place to connect with other pet lovers. Whether you are a seasoned blogger, one who loves reading pet blogs, or if you’re just thinking about starting your own blog – there is definitely something here for you. Now acquaint yourself and enjoy – this is your resource, so use it as you see fit! Of course, you have to follow the rules, so let’s get to that. Get those links in and have fun. 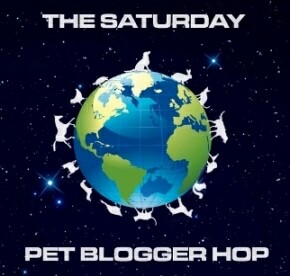 Grab the new “Saturday Pet Blogger Blog Hop” button below and include it in your Saturday Blog hop post so that your readers will know what is going on. *Note – posting is optional. Feel free to just link and follow. Thanks for hosting this Blog Hop! I’m a newbie here. Looking forward to meeting some pet bloggers as I just started my dog blog. Check it out when you have a chance! Hello, I’d like to leave here a short comment to be able to thank you so much over once more for this extraordinary tips you have discussed in the post. It’s been so unbelievably generous of people like you giving with no charge just what most of us might have marketed for an electronic book to earn some dough on their own, particularly observing that you could have tried it in the event you wanted. All the recommendations in addition worked to become easy way to fully grasp that some people have a very identical desire the same as mine to realize more and more with thank to this matter. I’m sure you will find several more pleasant occasions ahead for people who found your blog. I would badly appreciate your recommendation in addressing the following matter. I’m planning to found a better one stop shop with a kennel supplies. Would be likely to you accept my invite to my group on G+ . Find out more about pet accessories in every size and with a different materials that been used in production.